At 5:30am tomorrow morning 56 riders from around the world will gather to make final preparations for the 2013 Tour d’Afrique. At 7:00am we will move from the Cataract Pyramids Resort, where we have been staying for the last week, to the Pyramids of Giza, where the official starting ceremony will take place. At 8:00am we will be cycling! This is the 11th annual Cairo to Cape Town race and expedition. It covers almost 12,000 km and ten countries in 121 days (97 cycling days, 24 rest days), or an average of close to 125 km a day. Over 430 riders completed the Tour in its first 10 years. 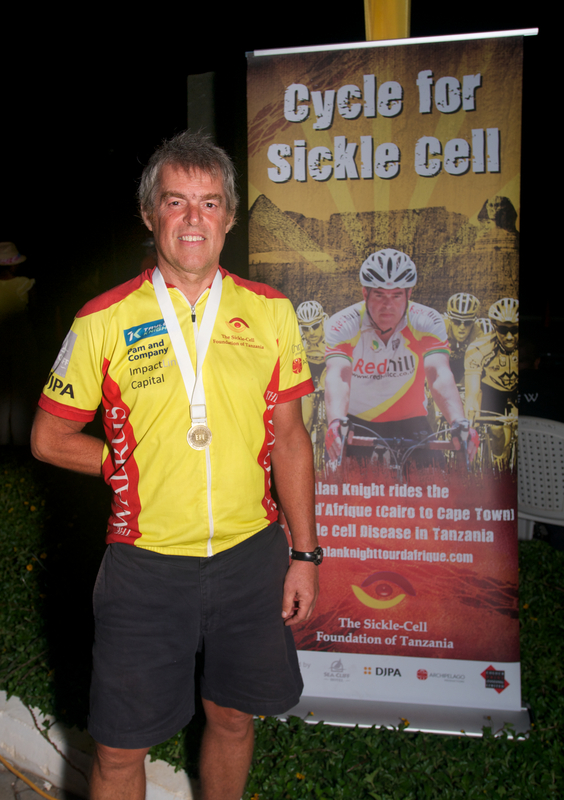 I am riding to raise money for the Sickle Cell Foundation of Tanzania (click on SCFT on the top menu bar for more information). The aim is to raise US$50,000 to establish a day treatment centre. Please show your support for the Foundation, as we start the race, by making a donation. And please share this with your friends and colleagues. Send them an email, suggest they follow the blog, encourage them to make a donation and make comments.